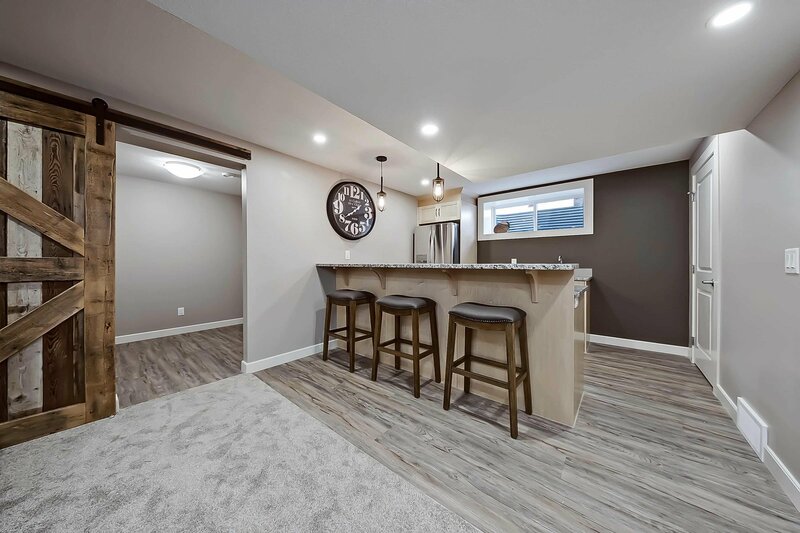 Basement Builders is a local company that specializes in basement development & renovations in Calgary and it’s surrounding areas. We have over 15 years' experience in home renovations, basement construction and development. 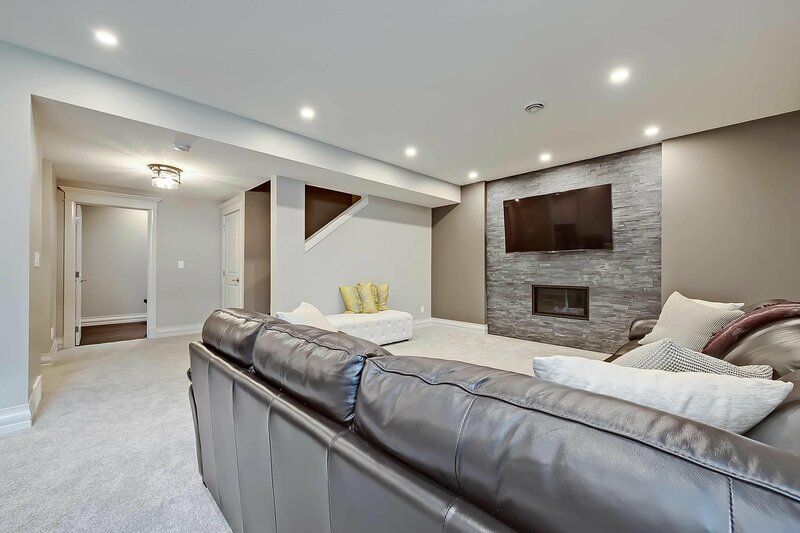 Customer satisfaction and quality of build is our number one priority, and our status as the #1 basement development contractors in Calgary is because we never leave a job until our customer is 100% satisfied. You’re going to have big ideas and we want to help you bring them to life. 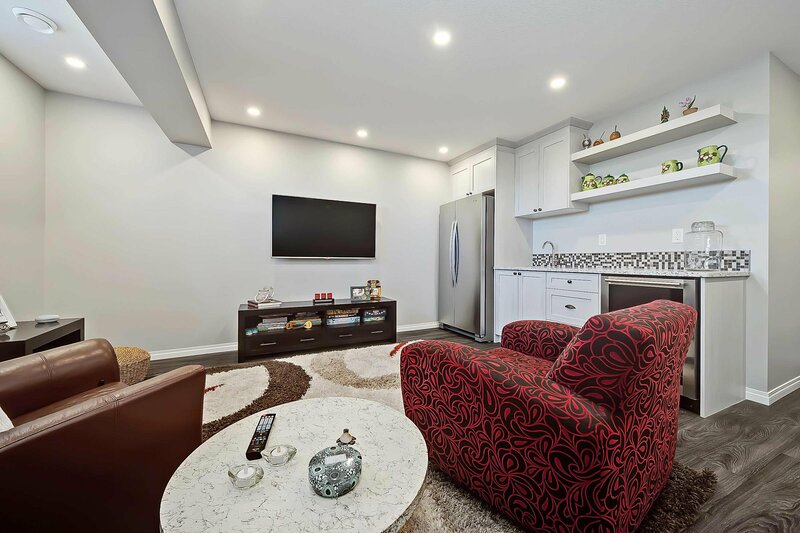 Here’s a small sampling of the type of basement development & renovations we’re capable of bringing to your Calgary home. 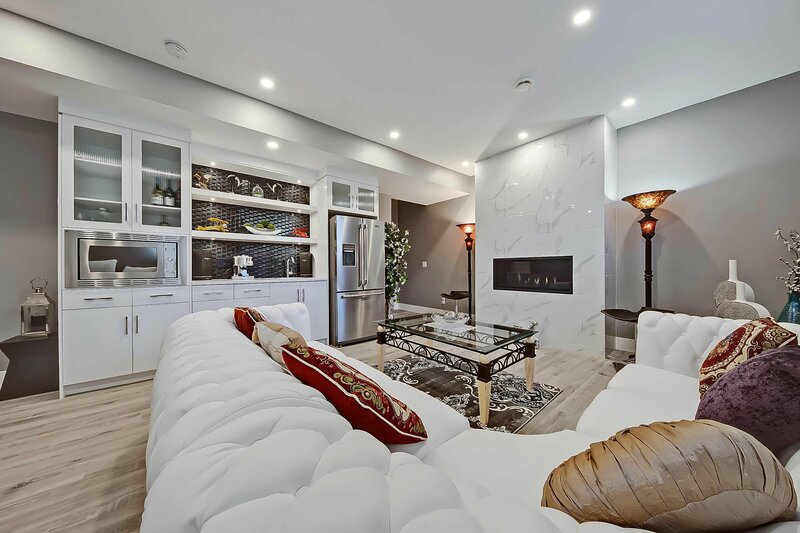 For this Calgary home, our client had several goals for their basement installation. First, they wanted to be able to accommodate more guests, resulting in us installing an additional bathroom and bedroom. 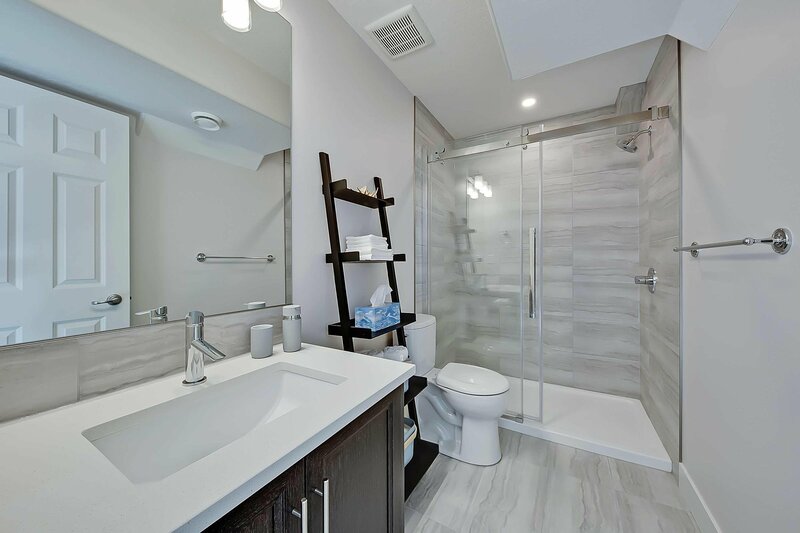 However, another goal was adding additional functionality to the space for both occupants as well as guests. Our client had several goals that we needed to accomplish for the installation in this Okotoks home. First, they wanted a bedroom and bathroom to be able to house guests comfortably, as well as an extended living area for entertainment purposes. Finally, they wanted to use the remaining space as a home gym for the entire household to use. By using our expertise and quality materials from our suppliers, we were able to meet each of these specifications. 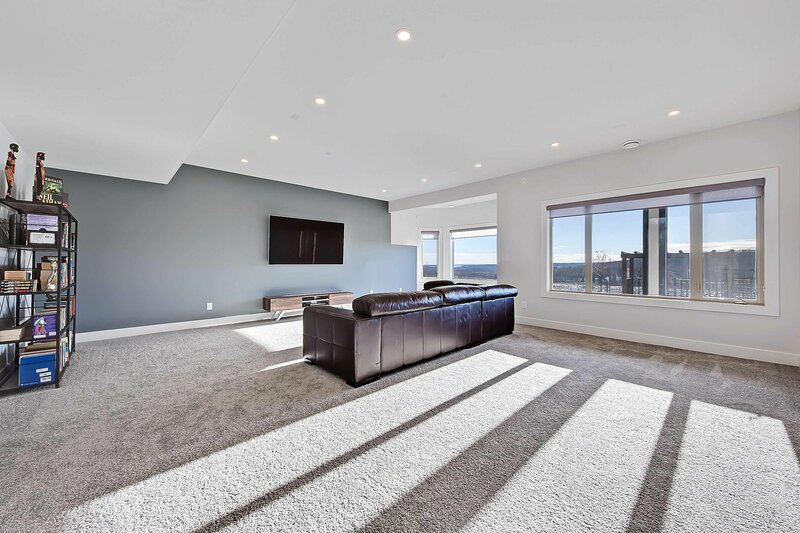 For this Calgary home, our client wanted a combination of a standalone living space, entertainment area, and a home gym, allowing a space for guests as well as additional functionality for the home. We accomplished this by adding a full bedroom and bathroom, as well as a dedicated entertainment/reading area complete with a fireplace. The home gym also is fully staged for a treadmill and internet/TV. The team members at Basement Builders have more than 15 years of experience and have completed more than 1,500 projects. Our expert basement contractors in Calgary are extremely proud of our professional reputation and customer satisfaction. 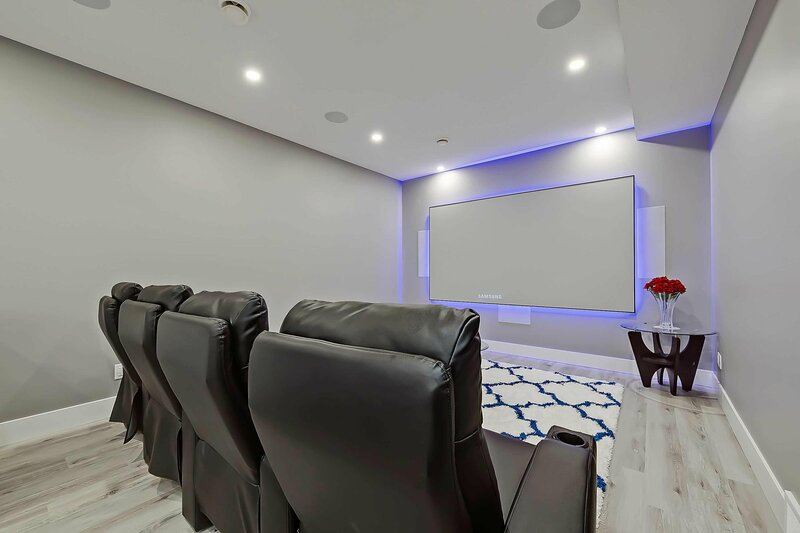 We bring our A class basement development to Calgary, Airdrie, Okotoks, Chestermere, Cochrane and Strathmore just to name a few. 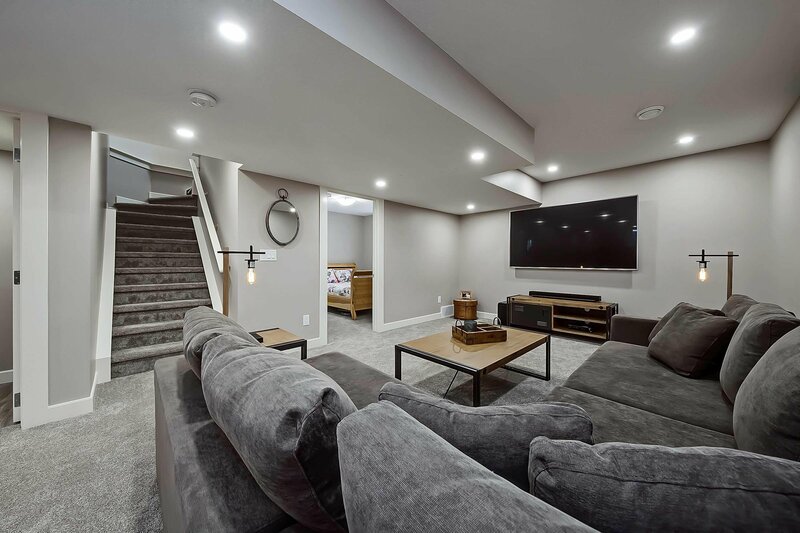 We are excited to hear about your basement plans and can provide an estimate and cost breakdown for any of your basement development needs. It could be an awesome playroom or games room for the kids, a home theatre, or that basement bar that you’ve always wanted. You’re going to have big ideas and we want to help you bring them to life. 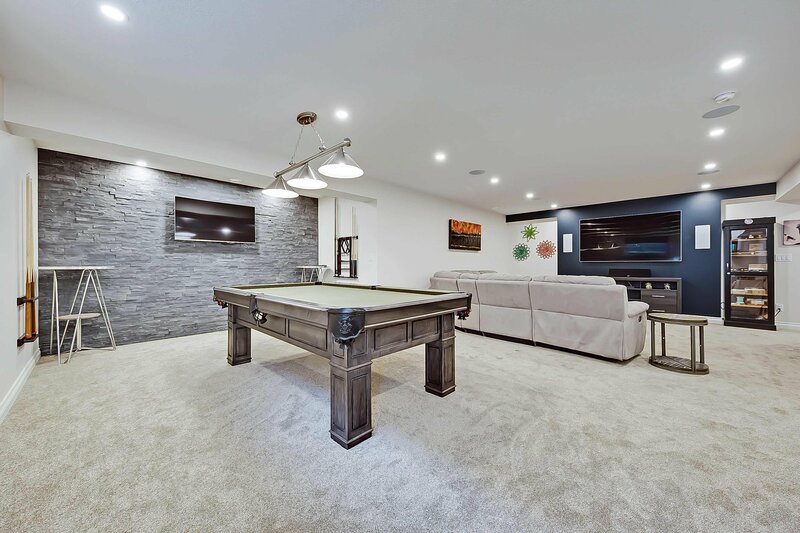 Our team of Calgary basement development contractors can work with you to create and build something unique and incredible, from the idea in your head to the final product - we’ll be there every step of the way. 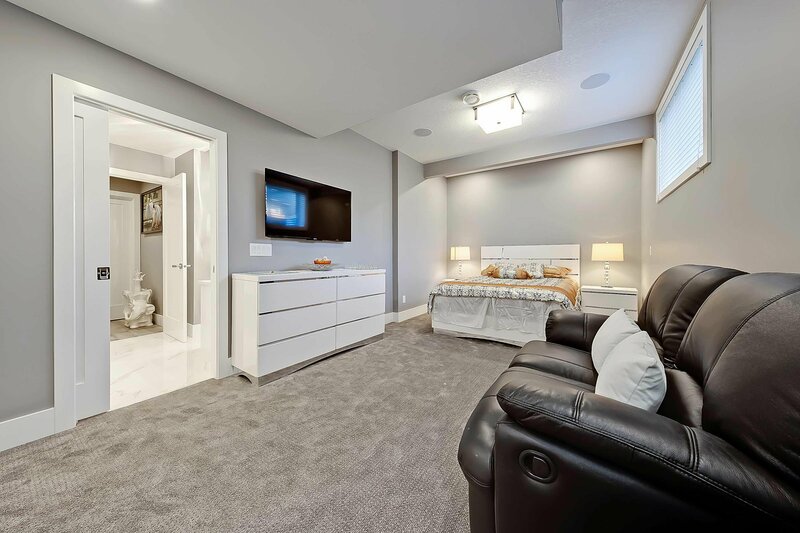 At Basement Builders, we pride ourselves on delivering quality basements in a timely manner. After all, this is your home and it should always be treated as such! We’re excited to hear about your basement project! Your basement building process made as simple as possible - divided into three different stages so you know what to expect throughout the project. 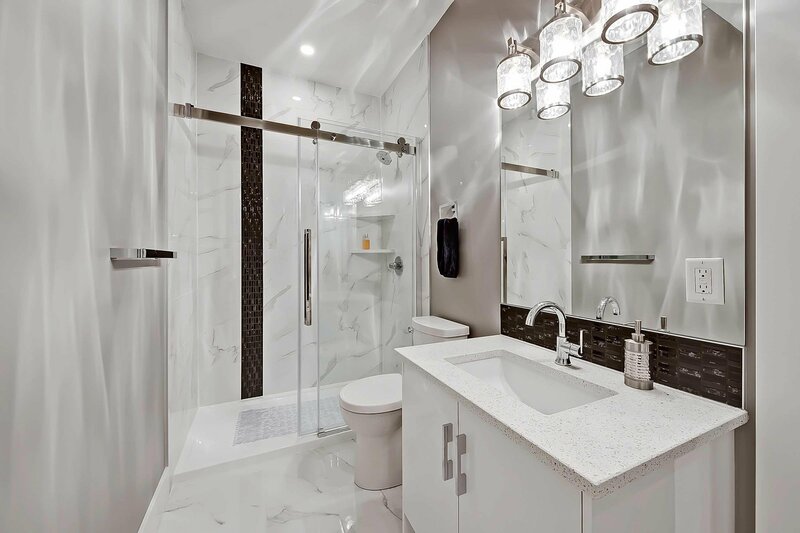 Our transparent approach allows our clients to feel at ease as your basement undergoes development. 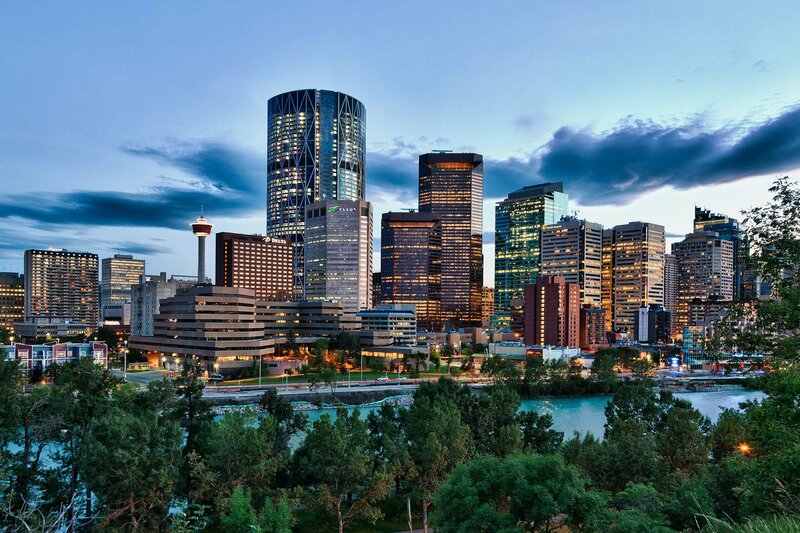 Your Calgary (or surrounding area) home is your quiet place, and basement development shouldn’t get in that way of that. When you first contact us we will discuss your wants and needs for your new basement along with the budget you are looking to work within. Our team members will come to your home and do a full review of the space and determine the perfect layout and design that works best for you. This will include scale drawings, measurements and a complete estimate. Once the proposal has been accepted we come back to your home and review the entire estimate and drawings to make sure all parties are in agreement on the scope of the project and make any necessary changes before development begins. "We would like to express our sincere 'thank you' for a job well done! We love our new Theatre Room!! Everyone involved, did a fantastic job. We would recommend Basement Builders to our friends and family." “Found these guys online and did my homework, they had some great testimonials, after a quick phone call we setup a meeting at my place. My biggest concern with these kind of projects is what the actual price is going to be compared to the price on the website.